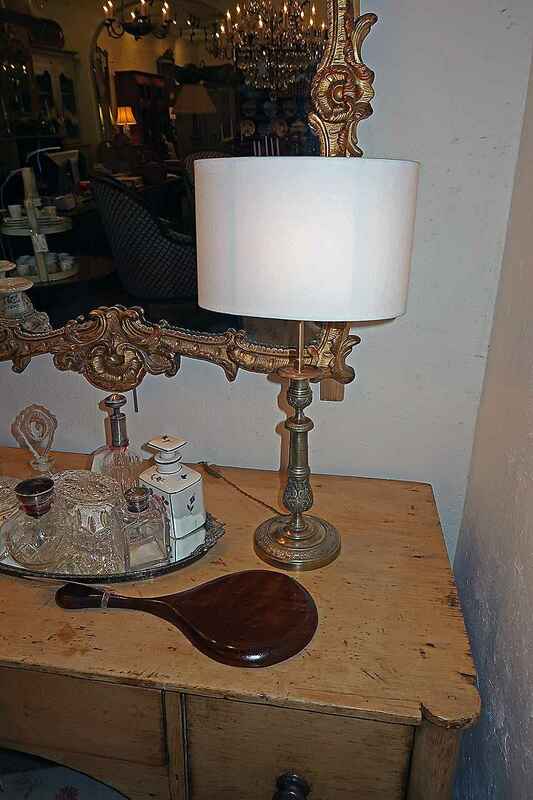 18TH CENTURY FRENCH BRONZE CANDLESTICK CONVERTED TO A LAMP WITH SHADE. CANDLESTICK, CIRCA 1780. CANDLESTICK: H 10¾" DIAMETER 5"
WITH SHADE, H 20¾" DIAMETER 10¼"
18TH CENTURY FRENCH BRONZE CANDLESTICK CONVERTED TO A LAMP WITH SHADE. CANDLESTICK, CIRCA 1780. CANDLESTICK: H 10¾" DIAMETER 5" WITH SHADE, H 20¾" DIAMETER 10¼"